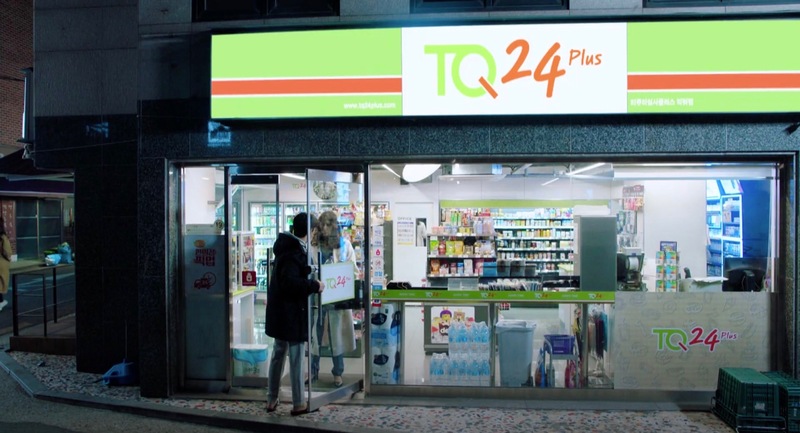 This branch of CU appears as Kim Hae-il (Kim Nam-gil) and Park Kyung-sun’s (Lee Ha-nee) neighborhood convenience store ‘TQ24 Plus’ in The Fiery Priest/Hot Blooded Priest (열혈사제) (SBS, 2019) at which Oh Yo-han (Ko Kyu-pil) works part-time. Hae-il and Kyung-sun often cross paths here especially in the evening when both come here to buy dinner. 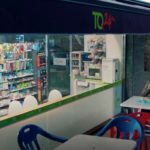 This branch of CU, the Segyo Boseog (or Jewelry) Branch [CU 서교보석점] is located in Seoul’s neighborhood of Seogyo [Seogyo-dong/서교동] in the Mapo District [Mapo-gu/마포구], which makes up part of Hongdae [홍대]. 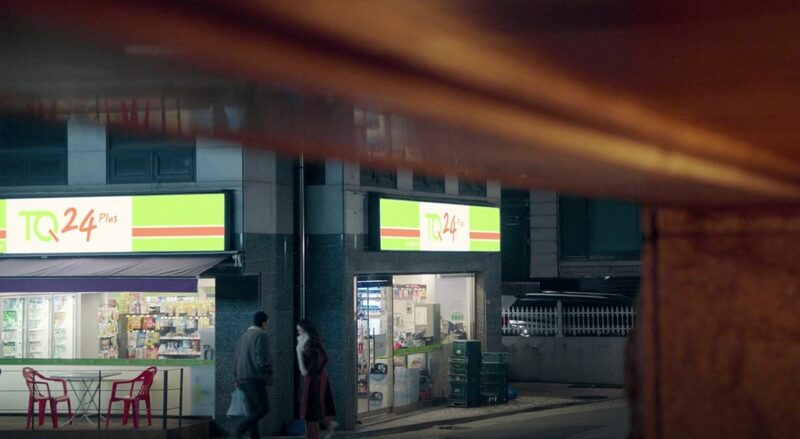 It is not very far away from another convenience store: 7-Eleven — Seogyo 8th Store [세븐일레븐 서교8호점]. The Charlie Chaplin mural painted on Off Work [의작은식탁] that sits only a few houses away from this place (at no. 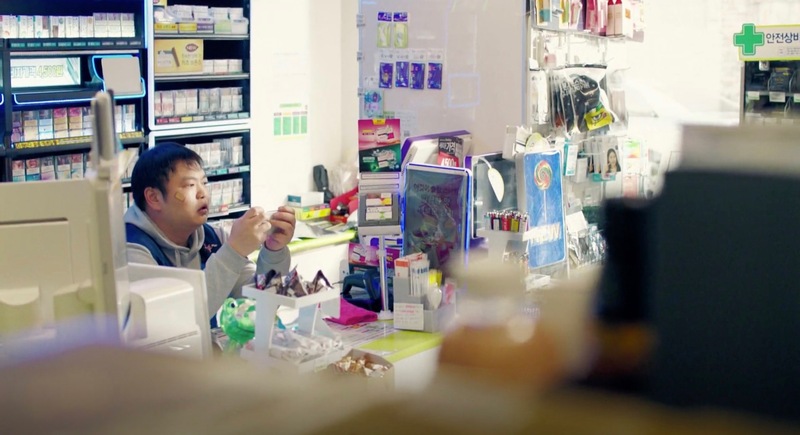 34) and is sometimes seen in the background in The Fiery Priest was done by Kim Joo-pyo and Lee Che-woong from ‘Overlarge‘.